Our Design work can be seen mostly on the studio’s website at www.atrissi.com. The Studio’s multi-disciplinary scope of work covers all kinds of visual communication: Visual & corporate identities, Corporate Design, Poster Design, Book Design, Magazine & Newspaper Design, Web Design, Digital & Interactive Media, Packaging, Logotype, Typeface Design and Signage and Information Design. The design philosophy at Tarek Atrissi Design could be illustrated through the following extract from the article “Typographic landscape of the Arab world” written by Tarek Atrissi in the book “Visual Narratives from Arabia”; published by Unesco in 2007 and compiled by Huda Smitshuijzen AbiFares and Tarek Atrissi. As an Arab designer, my primary focus through my design work has always been Arabic graphic and typographic design. The challenges presented in bilingual communication, in various media, are often the subject of continuous research and analysis. My interest lies in exploring creative and innovative solutions to typical problems that comes with such projects. With most of the Arab world being bilingual, Arabic typography becomes a key element in graphic design in the region, as well as its integration with Latin typography becomes crucial. While the visual culture and particularly the calligraphic tradition in the Arab world is long and rich, graphic design is relatively a new comer, which leaves a lot of possibilities to be explored by the new design generation in the region. 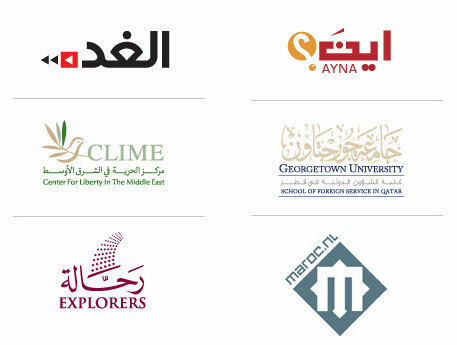 Most important, the challenge lies in creating a design and typographic language that is truly unique to the region, with a strong local design flavor and not as a typical western design style, with the Arabic part of it added as an afterthought. And this is exactly what designers aim at achieving in their daily design practice. In my experience through the various and multidisciplinary projects we come across in our design studio (Tarek Atrissi Design, www.atrissi.com), all the above challenges become the critical factors that define the logic and basic principles behind every design solution. I have learned that the bi-lingual and/or multi-cultural thinking has to be taken into strong consideration right from the start and at the conceptualizing phase of every project. 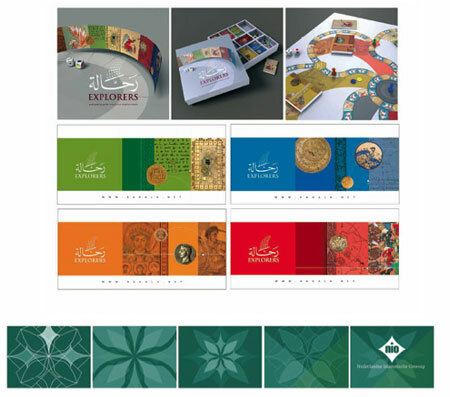 I have come across many projects, particularly in corporate identity projects, which had strong and direct concepts, but that simply failed to translate into the local Arabic market. It takes more than a good copywriter to translate an idea and put it in the right context. The initial conceptual thinking has to be in essence the outcome of the cultural and social environment. Just like Arabic typography and Arabic design elements have to be the main starting points, and not the last additions. What makes things more complicated is that the Arab world itself, despite sharing some strong cultural heritage, is still geographically very large, with different sub-cultures, different graphic taste and visual heritage, and very different contemporary design approaches. Thus, even in simply defining what is “Arabic” in design, depends to a large extent on the specific target group in question. Basic terms such as “Traditional, Arabic, Modern, Local, Classic…” in the context of the Arab world are very differently seen in a westerner’s eye than by someone from the region—not to mention the differences in points of views between Arabs from different countries. I take my experience in the Qatar Nation branding as an example. The task of designing an identity for an entire country, with such a vast target group of locals on one hand- who had to be evoked by their own visual identity- and of outsiders on the other hand, from other Arabs in the region and Europeans and Americans targeted as students, tourists, and business investors; made the tone of voice of the identity and design decisions a complex process. 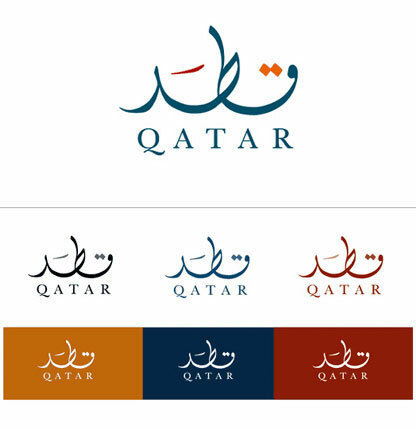 Eventually, the design solution was very simple in terms of logo design: Arabic innovative calligraphy was for the Arab reader a sort of a signature; it simply said what it was: Qatar. For the non-Arab reader, the calligraphy became the abstract shapes that made the icon- and people tended to come up with their own interpretation of this icon. Most importantly, the identity extended beyond the logo itself, to be an entire visual identity defined by the use of colors, calligraphic elements, and photographic style. These factors are also crucial to other types of visual communication projects, such as publications and book design, poster design, wayfinding…etc. Take Animation or motion graphics for example: How do you take the Arabic script—with its complexity as a connected script which makes it so different from Latin—and animate it in a pure typographic motion? How would you create a moving image or an on screen identity that treats the nature of the alphabet properly, that is legible on screen, and that is creative with a strong Arabic feel? How would you use calligraphy without the risk of having a very traditional end result, or use modern typography and still appeal to a more classic target group?